SEVERE CHRONIC HYPONATREMIA: A Pathophysiological Rumination. 1. Losing Control: In the preceding posts, I explained how sudden emergence of water diuresis as the predominant mechanism by which rapid overcorrection of serum sodium happens in cases of severe chronic hyponatremia. Few situations or more stressful in nephrology than when we suddenly find that serum sodium has increased by 12 mmol or more within a few hours. The usual scurried response is the immediate administration of 5% dextrose water, DDAVP are both. There has recently been some evidence that using DDAVP with D5W rapidly re-lower the sodium is well tolerated. But, as it was illustrated in this paper, the response to these therapies is very unpredictable with the usual clinical course being a rather erratic series of rises and falls in serum sodium. Two mechanisms are responsible for the vast majority of cases of overcorrection due to emergence of water diuresis. (1) a sudden drop in plasma ADH/AVP levels due either to resolution of a transient source of ADH secretion or repletion of subclinical hypovolemia and (2) in cases of solute depletion hyponatremia, the sudden availability of solute (in the form of saline solutions or protein load) in the setting of an appropriately suppressed ADH. The common feature of both these phenomena is the very low level of plasma ADH which allows water diuresis. 2. Gaining Back the Control: So how can we prevent the sudden water diuresis which is the hallmark of serum sodium overcorrection? We’ve argued above that the lack of sufficient ADH or sudden turning off of the ADH secretion is responsible for the sudden loss of free water in the urine. To address this issue specifically, in this paper by Sood et al, the Rochester group tested a very simple yet brilliant idea: why not keep the SIADH state from turning off by creating a robust iatrogenic state of SIADH? This was achieved by giving IV DDAVP 2mg every 8 hours (1 mg was tried as well but there was some breakthrough diuresis; also q6hr schedule was also tried). What this does is, by greatly reducing urine output, stabilize the denominator in Edelman’s equation (i.e. almost eliminated changes in TBW, see figure in previous post) and turn the patient into the proverbial beaker, into which now sodium, potassium and water can be added as needed to control the rate of sodium correction. In their series of 25 patients with starting serum sodium of less than 120 mEq/L, quoting directly from the abstract, “Mean changes in serum sodium levels during the first and second 24 hours of therapy were 5.8 +/- 2.8 (SD) and 4.5 +/- 2.2 mEq/L, respectively, without correction by >12 mEq/L in 24 hours or >18 mEq/L in 48 hours and without a decrease during therapy.” There was no difference in the predicted and actual correction of sodium and there were no adverse effects associated with the treatment. Essentially, by converting the patients into human "beakers" by inducing iatrogenic SIADH and then infusing 3% saline at the desired rate allow for safe and predictable rise in serum sodium without any complications. Our experience with this protocol has been extremely gratifying. When this protocol was used very carefully, the serum sodium correction graph was almost invariably an almost straight line: Something that we almost never see with the traditional method of treatment of severe hyponatremia. Once a serum sodium is between 125 and 130 mmol/L DDAVP can be discontinued while closely watching the patient. There are a few important points that need to be mentioned here. #1 --- It has to be clarified to the nursing staff that the DDAVP needs to be given exactly every 8 hours and the dose cannot be missed. If the dose is missed, there can be breakthrough large volume diuresis in about 10-12 hours from the last dose which can cause overcorrection. #2 --- The water content of all fluids given/ingested will be retained. Therefore a very strict fluid restriction needs to be enforced. In the IV fluids being given to the patient's in the form of infusions with antibiotics etc. need to be accounted for by calculation. #3 --- in patients with congestive heart failure lasix can be used if it seems like fluid overload is becoming a problem. #4 --- if a double-lumen PICC line is being used for 3% saline infusion and for drawing labs, the hypertonic infusion should be held for a few minutes before a drawing serum sodium level. Recirculation can give a falsely elevated sodium level. An important clue in this situation would be that there would be no large change in urine output that would be expected with a true sudden rise in serum sodium. This protocol is somewhat opposite of what we have traditionally been taught regarding treatment of severe hyponatremia. Given how stress-free and easy the management of severe hyponatremia has become with this for me and other colleagues, I expect this protocol to gain more widespread acceptance over the next few years. I would also like to know if anybody has had experience with this protocol, good or bad. Hyponatremia remains a clinical challenge but is also fun and stimulating at the same time. A little time spent on determining the physiology at work and using more quantitative methods of choosing the doses of 3% saline coupled with good results for the patient make it very rewarding as well. 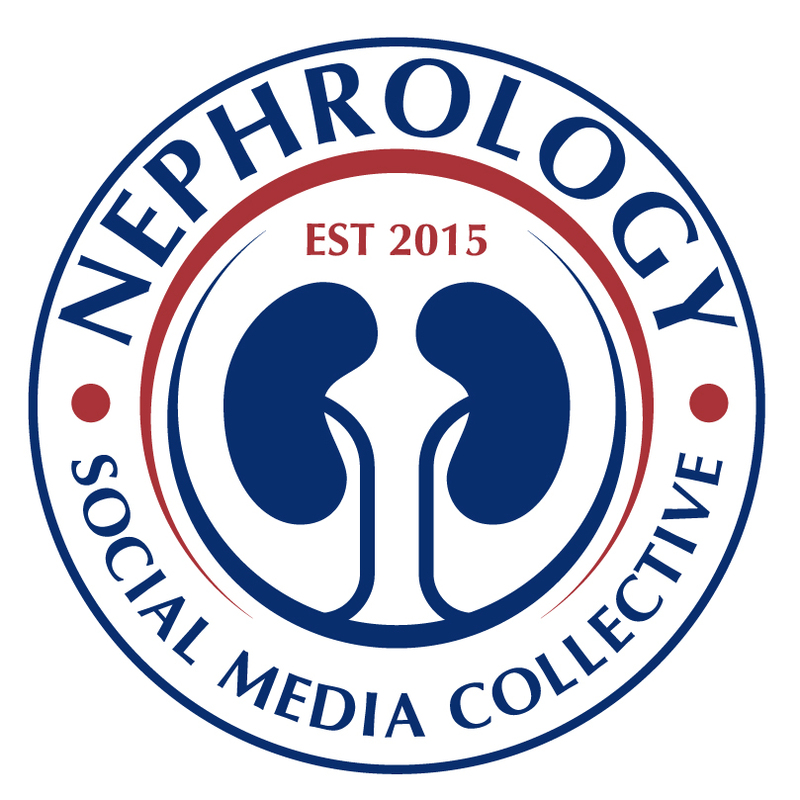 FSGS is the most common glomerular disorder causing end-stage kidney disease in the USA with a high post-transplant recurrence rate of 20-50%. Furthermore, the treatment of post-transplant recurrent FSGS is extremely challenging. While reading a recent article on biomarkers predicting post-transplant recurrent FSGS by Delville et al. (discussed below), it seemed a good idea to cover recent advancement in FSGS research. Since the first report by Wei et al. of suPAR as a circulating permeability factor causing FSGS, there has been extensive research to elucidate its role in FSGS. Although administration of suPAR molecule to mice was initially thought to be sufficient to cause proteinuria mimicking FSGS, via activation of integrin beta 3 and derangement of actin cytoskeleton, the situation does not seem that straightforward. As Reiser et al. 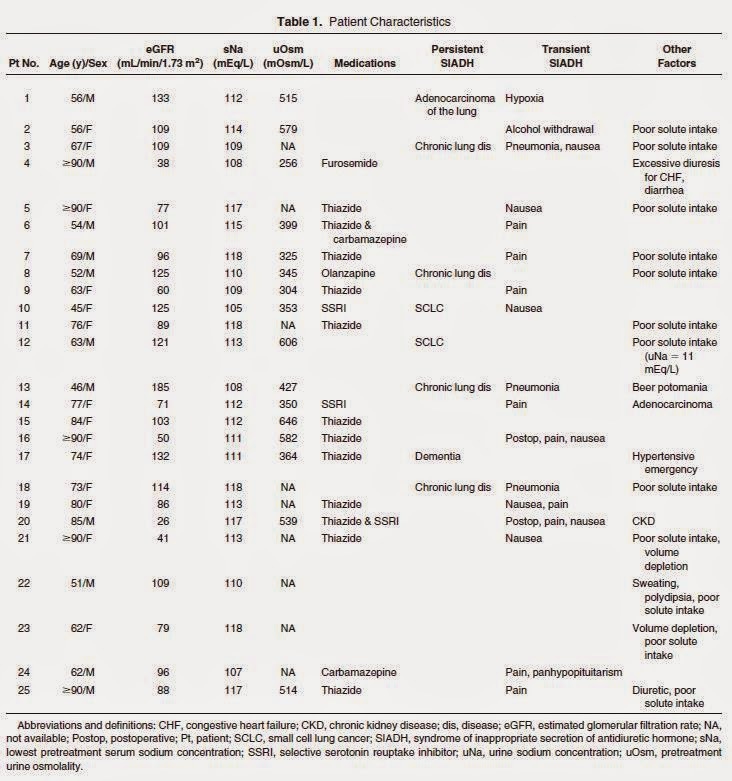 discussed, there are challenges to overcome: existence of different suPAR isoforms with different disease modifying effects; heterogeneity of FSGS itself, which make it complicated to interpret correlation between levels of suPAR and disease activity; involvement of suPAR in other disease process, including cardiovascular disease (KI 2014). However, suPAR remains an intriguing molecule and potential biomarker in FSGS disease process. 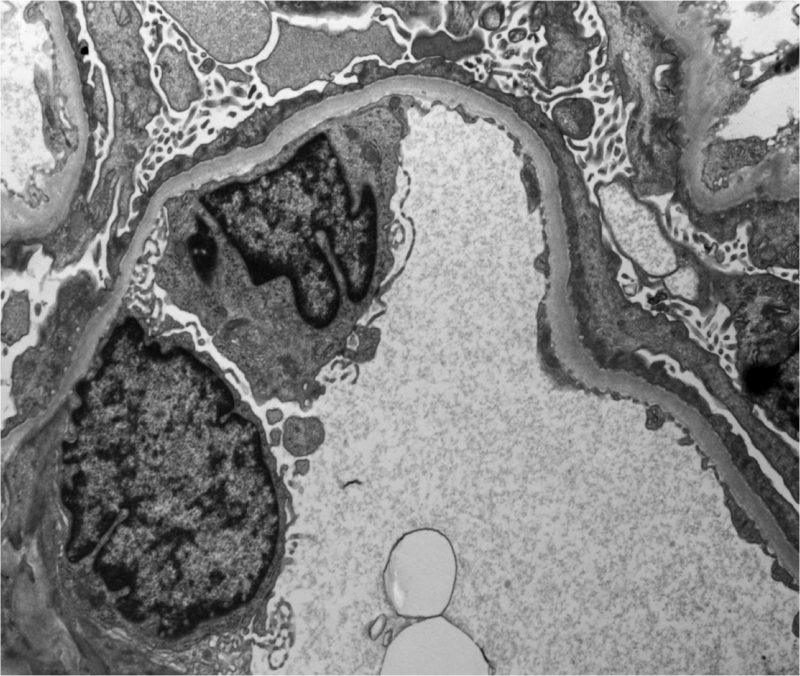 A case series in the NEJM from Peter Mundel’s group in the end of 2013 brought us to an excitement for personalized treatment of a subgroup of B7-1 positive FSGS patients. They found strong B7-1 stain in primary FSGS as well as post-transplant recurrent FSGS. These patients were successfully treated with abatacept (CTLA4-Ig), resulting in complete remission of proteinuria. The hypothetical pathophysiological mechanism was via direct interaction of B7-1 and integrin beta 1 causing podocyte actin cytoskeleton changes. However, it was followed by comments and larger case series (AJKD 2014) questioning specificity of the immunostaining and treatment effect of abatacept. Exploration of this costimulatory molecule in FSGS was just started and further research is needed. A group from China suggested that certain micro RNAs are associated with disease activity (level of proteinuria) and progression (Zhang et al. 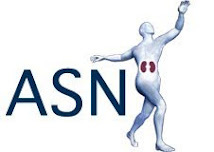 CJASN and AJKD 2014). Potential candidates are miR-186 (involved in cell cycle control, AKT and insulin signaling etc.) and miR-125b (involved in NFkB signaling etc.). However, their contribution to pathogenesis is not clear so far. 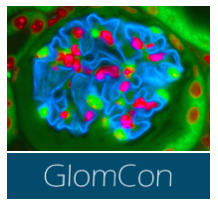 Expanding potential FSGS biomarkers is the publication by Delville et al. The authors did a beautiful translational work using human serum in protein arrays, validation of specific auto-antibodies and further experimentation using cell cultures and animals models. The authors elegantly showed that pre-transplant antibody panel, especially anti-CD40 antibody, can predict risk of post-transplant recurrent FSGS. PART 3: THE DANGERS OF "DEPLETION"
In my previous post concerning chronic severe hyponatremia, I explained how over corrections of serum sodium of large magnitude required a dilute large volume diuresis, often precipitated by resolution of a transient source of ADH secretion. In this post I will discuss two phenomena which are particularly dangerous as they carry significant risk of producing large volume water diuresis. 1. Subclinical Volume Depletion: As mentioned in my previous post, we noticed during our review of a large number of cases of severe hyponatremia treated with 3% saline that most of the patients whose serum sodium eventually overcorrected responded to small volumes of 3% saline as if they were volume depleted, with sudden emergence of water diuresis. Interestingly, most of these patients were initially considered to be euvolemic by experienced nephrologists. This very interesting paper reviewed the literature concerning the value of physical examination in diagnosing volume depletion. The conclusion, rather humbling, was that other than in cases of severe volume depletion our physical exam was quite inaccurate in diagnosing volume depletion. This is especially concerning considering that establishing a patient's volume status forms the major decision point in the ubiquitous diagnostic algorithm for hyponatremia. According to the paper, reliable signs of volume depletion usually are visible with the loss of about 20% of the intravascular volume. The ADH secretion and response to volume depletion starts with volume losses as low as 5-8% of the effective intravascular volume. This implies that the patient may have significant ADH secretion, contributing to the relative excess water retention causing hyponatremia, while clinically appearing euvolemic. It also means small volume bolus may switch off this ADH secretion, causing water diuresis and sudden rise in serum sodium. Subclinical volume depletion as a contributor to hyponatremia should always be considered a possibility especially when starting therapy with 3% saline. 2. Solute Depletion Hyponatremia: The so called "Tea and Toast Diet " hyponatremia and "Beer Potomania" are examples of solute depletion hyponatremia. As nicely described by Dr. Berl, our solute intake limits our ability to excrete free water. Even with a maximally dilute urine of around 50 mOsm/L, a person consuming a 300 mOsm/d diet can only excrete 6 L of urine (300/50=6). Such a person will become hyponatremic with drinking more than 6 L of fluids a day because any water in excess of 6 L per day excretory capacity will be retained in the body. It is important to note that this water retention is not due to ADH secretion. ADH is often suppressed in such patients. The renal danger of this pathophysiological mechanism is that whenever such patient is "presented" with solute (IV normal saline, high-protein meal which would generate BUN or even 3% saline! ), without a high ADH level to prevent it, the added solute is used to rapidly excrete free water that has been "trapped" in the body. As an example, consider the case of the 26-year-old female that I briefly alluded to in the previous post. She presented with a serum sodium of 108 mEq/L after being on an exclusively alcohol diet for the last 2 weeks. She received 2 L of normal saline in the ER (154 mEq x2 = 308 mEq of Na). Using the Edelman equation (see figure) and an initial total body water of 32 L, if we do not account for urine output, that amount of added NaCl would have raised the serum sodium to about 111 mEq/L. But the actual rise of serum sodium was to 131 mEq/L in about 5 hours accompanied by almost 7 liters of dilute urine output. Her kidneys used the roughly 300 mEq of sodium in the NS bolus to excrete more than 6 liters of maximally dilute urine (300/50=6 L, remember the earlier calculation?) and almost perfectly accounts for the 23 mEq/L rise in serum sodium (by reducing the denominator, TBW). This would have also happened if she had received the same amount of NaCl in the form of 3% saline as in such cases the volume of infusate matters less than the amount of solute delivered. I hope this case illustrates how dangerous solute depletion hyponatremia can be and how easy it can be to precipitate an overcorrection of serum sodium in such patients. This raises a very important question: if even treatment with 3% saline is so unreliable in patients with chronic severe solute depletion hyponatremia, how can we safely treat such patients? That will be the subject of my next post. In conclusion, subclinical volume depletion and solute depletion pose a particularly tricky challenge in the management of chronic hyponatremia as sudden rises in serum sodium level can happen rather easily in these patients with, what would otherwise seem to be, rather innocuous treatment with saline solutions. I mentioned in the previous post that severe hyponatremia is multifactorial and that the contributing etiological factors in any given case may be transient and reversible. In this post I would like to stress the importance of closely monitoring the urine output of the patient in addition to frequent monitoring of the plasma sodium. Urine output is an extremely important clinical parameter that needs to be monitored closely but is not really mentioned in textbooks and handbooks. Overcorrection by more than 12 mEq/L in 24 hours is not easy to achieve if the patient has a stable state of antidiuresis. In an anuric patient with total body water of 32 L and a starting serum sodium of 108 mEq/L would require an infusion of more than 750 mL of 3% saline: a prescription not many of us would order. In fact, during our review of cases of severe hyponatremia we found that the very popular Adrogue-Madias equation grossly underestimated the sodium correction in the majority of patients. Most of the patients' sodium corrected far in excess of what the equation predicted. The reason for that is that these equations treat the patients as if they were beakers that we can add sodium to and watch the plasma sodium rise as predicted. However, unless the patient is on dialysis or in oliguric renal failure, they also lose free water in the urine, a fact that the equation does not take into consideration. In fact, in our case series every patient that had an overcorrection of sodium beyond the desire goals, and had adequate documentation of ins and outs, had a documented large volume dilute diuresis. Invariably, such large-volume water diuresis emerged suddenly as if an ADH switch was turned off, suggesting resolution of a transient source of ADH secretion. While small, sudden increases in serum sodium are certainly possible with the addition of too much sodium to the system, very large and dangerous increases require simultaneous loss of free water. A very illustrative case is one of a 26-year-old female I managed a couple of years ago. She presented with a serum sodium of 108 mEq/L and received the inescapable 2 L of normal saline bolus in the ER and about 5 hours later her serum sodium was 131 mEq/L. With an estimated total body water of 32 L (and using the Edelman equation, see figure), if we considered her oliguric and try to account for the rise in serum sodium slowly on the basis of addition of sodium chloride to the system, we would require about 1.9 L of 3% saline to be infused in a 5 hour period! However it is perfectly explained by the almost 7 L of water diuresis that emerged with the 2 L saline bolus. More on this case in a later post. In conclusion, very close monitoring of urine output should be an important and integral part of the early management of severe hyponatremia. The sudden emergence of water diuresis is often the earliest sign of a rising serum sodium and should prompt a stat plasma sodium check. I have often relied upon a well documented q2hr urine output in ICU setting more so than the q2-4hr sodium levels which are fraught with the issue of delayed venipuncture and delays in reporting. Severe chronic hyponatremia (<120 mEq/L) remains the #1 reason nephrologists lose sleep on call nights and rightly so. The fear of overcorrection and the risk of central pontine myelinolysis (CPM) or osmotic demyelination syndrome (ODS), however uncommon they actually might be, has been drilled into our brains since the beginning of medical school. In this post and the few that follow, I will attempt to address some aspects of chronic severe hyponatremia which have traditionally not been included when hyponatremia is taught or written about or have only recently been backed by some evidence and have not yet made their way into the textbooks. The recently released guidelines also did not address some of these issues. While this is not, by any means, an exhaustive discussion of the topic, I hope that these posts will not only help the readers enhance their understanding of the pathophysiology of severe hyponatremia but also help them manage it more effectively with a lot less stress and mental anguish. 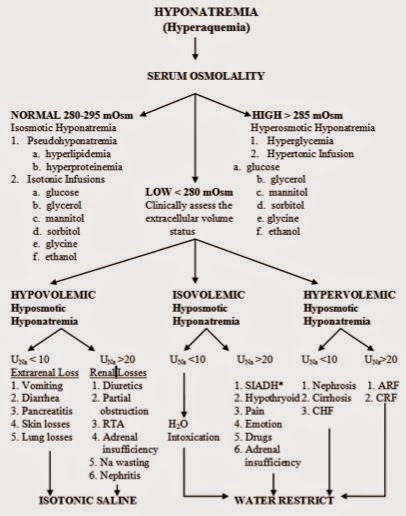 The Schrier-Berl algorithm for diagnosis of hyponatremia has been used successfully for decades for teaching, and for reasoning through the differential diagnosis at the bedside. It is an integral part of every medicine textbook and pocket handbook. It takes us to our diagnosis through 3 decision points: Plasma osmolarity, volume status and urine sodium sequentially. While the algorithm holds true for the garden variety mild to moderate hyponatremia, it almost invariably breaks down in case with very severe hyponatremia. During our extensive review of cases of severe hyponatremia treated with 3% saline, we seldom came across a case in which there was only one isolated cause for hyponatremia. Rather, they were almost always two or more possible etiologies. In addition, many patients that were initially considered to be euvolemic by experienced nephrologists, responded to 3% saline as if they were volume depleted. Lastly, the clinical course of these patients during the hospitalization seemed to suggest many of these causes of inappropriate release of ADH were transient and reversible (SSRIs, acute nausea, postop state etc.). 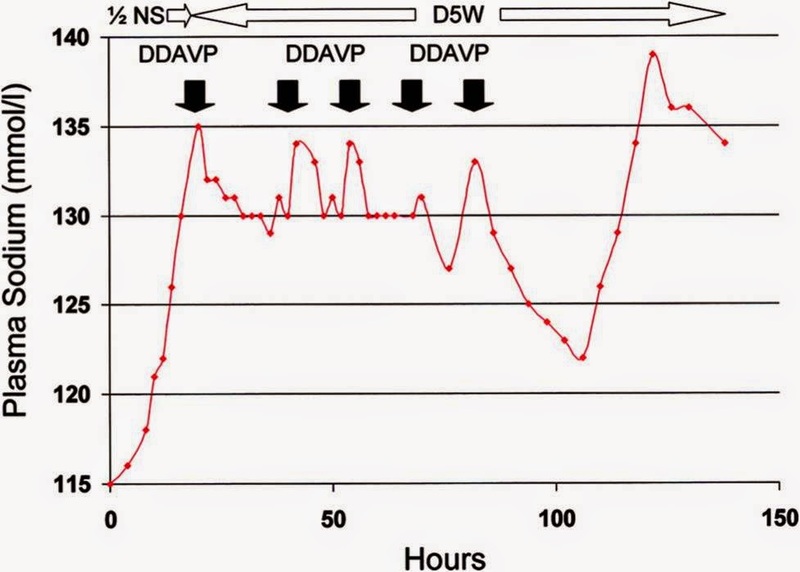 The patients' physiology seemed to change from time to time, with overcorrection of sodium invariably accompanied by large-volume water diuresis as these transient sources of ADH were "switched off." It was, however, the paper by Sood et al that finally looked at the possible different etiologies for cases of severe hyponatremia as shown in the table (see image), which I consider the single most important table in all of recent hyponatremia literature. They showed for the first time for multiple etiologies and processes are at play, some fixed and some transient in generating severe hyponatremia. It is of paramount importance, that in the workup of hyponatremia, especially severe cases, we do not limit our reasoning through the differential diagnosis to comply with the algorithm that we have so familiar with but constantly look for multiple etiologies and transient causes of SIADH, especially subclinical volume depletion (low urinary sodium can be helpful here), as often it is the resolution of these causes that leads to the large-volume water diuresis and overcorrection. Although tangetial to nephrology in some ways, I believe a recent study published in JAMA Internal Medicine has important lessons for anyone involved in clinical medicine and should make us think about the things that we do reflexively without really thinking about the reasons. In 1998, the US government mandated that all cereals be fortified with folic acid. Prior to this point, folate deficiency was a real problem. Now, not so much. In fact, folate deficiency has pretty much disappeared as an important clinical problem. Researchers at the Beth Israel Hospital in Boston examined their clinical database to see whether or not this change had lead to any difference in the number of folic acid tests performed and if the number of low serum folate diagnoses was substantial. The results are fascinating. There was no change in the pattern of ordering this test over the 11 year period covered by the paper. In total, 84,000 tests were performed of which 47 (0.056%) were low. The cost if this test to the institution is $2, the charge is $128 while medicare reimburses $20 per test. Thus, the cost per positive result was $35,800. It is clear based on this that routine testing of folic acid levels is inappropriate and yet it is still often ordered as a routine test in working up individuals with anemia, dementia and neuropathies. Alan Wu, in an accompanying editorial suggests that clinical laboratories should retire this test and in fact his institution, San Francisco General, now includes this as a send-out only that has to be clinically justified. The reflexive ordering of laboratory and other tests is a problem that has only gotten worse with computerization. When I started working, as interns we had to write individual lab requests on paper and leave them on patient's wards. There was an explosion in testing when interns were finally able to order labs with just a click of a button. I wonder what tests in particular in nephrology we should be ridding ourselves of or at least ordering far less often?